Date: Saturday, May 4, 10:00 a.m. Come at 9:30 to socialize. Date: Saturday, June 8th ** note date change from our usual date **, 10:00 a.m. Come at 9:30 to socialize. Would you like to learn how to make more flattering garment style and fabric choices? This presentation will help you make more informed selections which suit your life style and flatter you most. Join me for a detailed slide presentation that will help you understand the visual impact minor changes in garment lines, proportion, texture, color and silhouette can make! 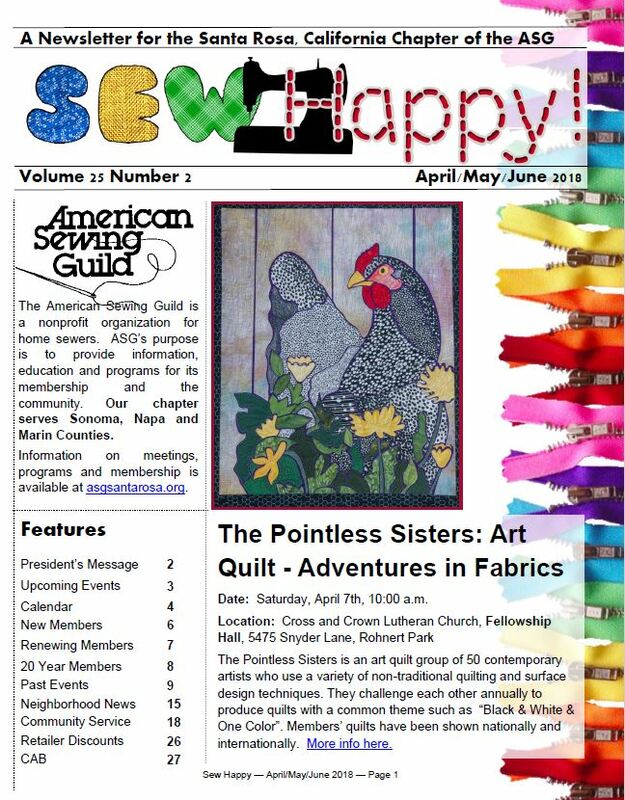 ASG is a membership organization that welcomes needlework enthusiasts of all skill levels and from many different walks of life. Our Chapter is located in Santa Rosa California, and we have members from all over Sonoma, Napa and Marin Counties. 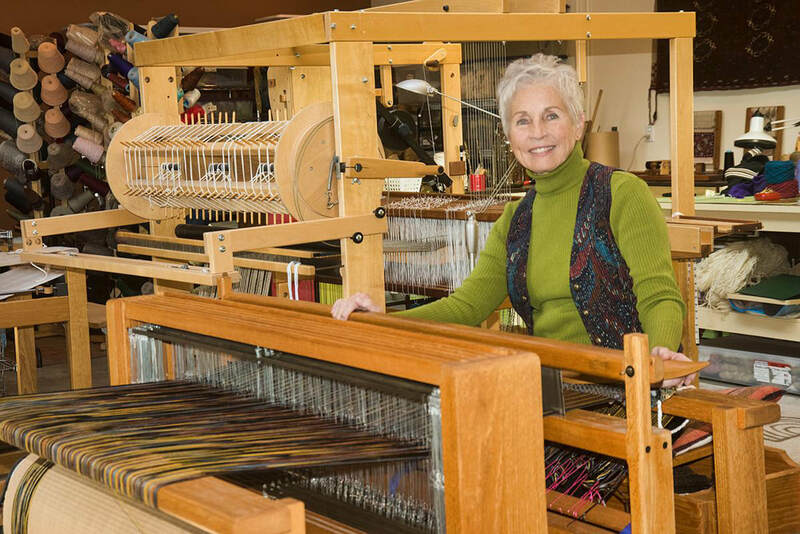 Members meet monthly and at neighborhood groups to learn new sewing skills, network with others who share an interest in sewing and related arts and participate in community service sewing projects. Membership in the Guild gives you an opportunity to experience your love of any type of needlwork with others who share your interest. Click here to check out the national website. Discounts and webinars and more are on the website. Interested in joining but want to know more? Download a sample of our quarterly newsletter. You'll be surprised by all we offer. Note: This is a portion of our newsletter; full versions are available to ASG members in the members only section.